Washingwell Primary achieves the Inclusive School Award for the second time. Upon walking into Washingwell Community Primary School, you are met with friendly faces, and a strong feeling that you, and everyone else, is valued. From the reception area, and the warm and welcoming staff, this sets the tone of what is to come. It is everyone’s responsibility to ensure that everyone is supported. The Head Teacher and staff work tirelessly to promote inclusion and share this regularly with the staff team and Governors – inclusion plays a central role at this school. Children throughout the school from EYFS, KS1 and KS2 make exceptionally strong progress and produce work of a consistently high quality. In order to achieve this, the school quite rightly places high emphasis on the children’s social and emotional well-being as is reflected in the decision to employ a Family Support Worker and buy in the services of a Counsellor through the Wayes programme. Children have a high level of mutual respect, communicating clearly and with good active listening skills during their debates. My meeting with the School Council and Rights Respecting Schools Award Steering Group demonstrated this most ably. Children also demonstrate a wider respect for the world in which they live by raising money for worthy causes such as Comic Relief, Children in Need and various Fayres, and for their own school on occasions. The School Council is proactive in these activities and relish the responsibility which comes with it. The children have a clear understanding that compared to other people and countries, they are fortunate and it is their duty to make things better for everyone. The school is a popular place, with parents choosing to send their children here even when they do not live in the catchment area. This applies particularly to the parents who formerly sent their children to Washingwell’s Autistic provision, as when funding ceased and the provision “officially” closed, many chose to keep their children there as they felt the provision was so good. Relationships between the school, the staff, the children and the parents/carers is excellent and very strong. Adults model high levels of respect which the children adopt. The children feel well cared for, safe and secure, and they know who to go to if there is a problem. Many children take on additional responsibility, such as the Head Boy/Head Girl, the School Council, Eco Warriors, RRSA Child Council and Playground Buddies. Washingwell is strong at developing leadership skills through numerous opportunities. Positions are strongly sought after and involve a rigorous process of appointment, often including application, a presentation and sometimes an interview. If successful, they undertake their roles seriously, and with pride. Resilience is developed as there is no guarantee of a position, with some children applying over a number of years. Such roles also develop the children’s understanding of democracy, and how they can play a constructive role in a democratic organisation. Staff have a thorough knowledge of the children’s next steps for learning, and the children feel well supported by the teachers and support staff. The parents are confident that the school provides a good education and cares for their children, and as a result, the children enjoy school. Parents feel, quite rightly, that there is excellent communication between themselves and the school, and there are plenty of opportunities to discuss any issues at any time. The school has an “open door” policy and is very receptive to their involvement. Parents also understand that sometimes those conversations may be challenging, but they know that the school is ultimately working for the best interest of the children. This can be for example when support may need reducing or removing, but clear and open discussion usually leads to a collective, agreed understanding. They feel confident that the decisions reached are made after considerable thought, and will be reviewed regularly to ensure that the child continues to make good progress. “All the staff at Washingwell make the school an enjoyable place to learn for all the children. A happy child means happy parents and my child is happy going to school every day. The staff make it their job to know every child in the school and they are always in the school playground every morning to greet the children and parents alike. The staff are also very approachable, so if you have any questions or issues you feel at ease speaking to them”. High quality, and interactive, displays permeate throughout the school demonstrating a balance between the celebration of children’s work, providing a focus for learning, encouraging positive learning behaviours, and instilling a sense of worth in society. Rewards are a key feature of Washingwell, with regular celebrations of achievement both educationally and personally. Parents are regularly involved with these celebrations, for example through the Assembly Showcases and other such special events. The curriculum is planned to meet the needs of the children, with resources and interventions being carefully considered to ensure maximum progress. 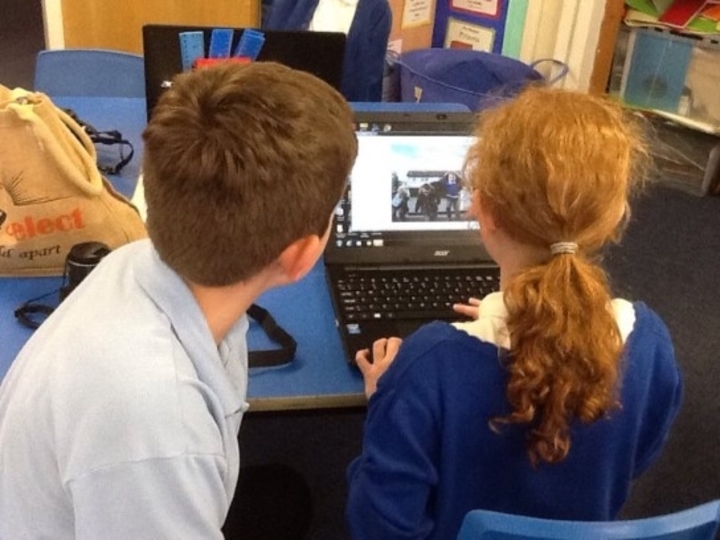 ICT is available to support everyone, particularly those with additional needs. Children respond well to this stimulating curriculum, appreciate the commonality of systems, respond positively to marking and feedback, and appreciate the chances to demonstrate independence, leadership and responsibility. Outdoors is equally bright and stimulating with the grounds being attractive, extensive and well used. There are many activities which complement the curriculum and those which develop personal qualities. Many provoke deeper thinking and understanding, and question the children as to how they can develop and become stronger individuals. Purposeful activities develop leadership and co-operation skills, with plenty of opportunities to develop these further for example through the Playground Buddies which children aspire to become. Older children provide excellent role models to the younger ones, being supportive of each other, and even getting involved with conflict resolution. In class and around school the children exhibit a positive work ethic, and resilience when things get tough, and their friendliness, politeness and good behaviour impacts positively in their engagement with learning, and hence their achievements and standards. The children have a confidence to present themselves well with people they know and with strangers – lunchtime and social times guarantee a very pleasant experience for all. 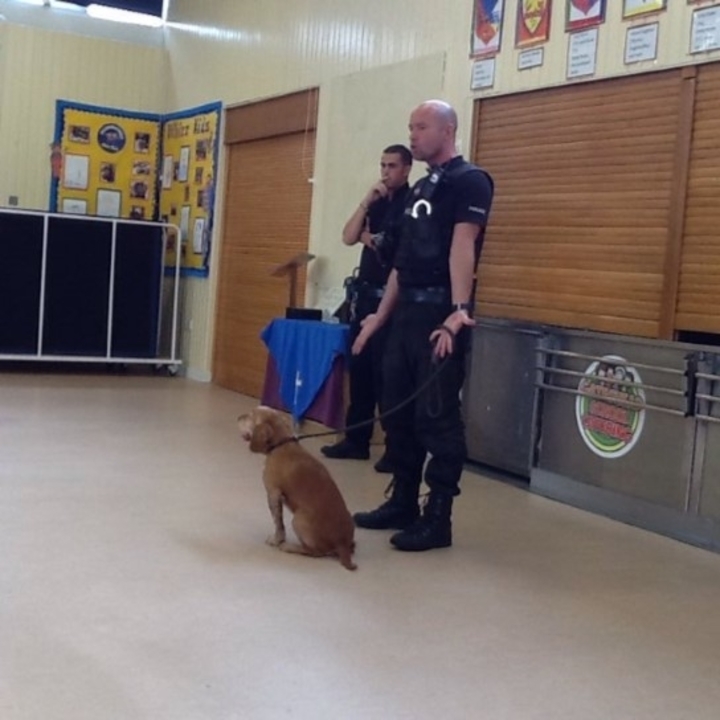 Safeguarding procedures are robust, with all staff and children knowing how to stay safe and look after each other. A strong caring ethos is developed throughout the school, and the staff care deeply for the children, but the Head Teacher demonstrates this through her own example in the way she is very considerate of the needs of her staff. She appreciates their dedication, recognising this with words of thanks, or small gifts. Governors are very well informed, knowledgeable and supportive of the school. Good levels of training, and an open and mutually supportive framework, ensures new Governors rapidly get up to speed and are clear how they apply their own personal skills to support the school in its development. They are well equipped to ask the challenging questions, and in the past, have taken some difficult decisions. A recent example was a debate around employing an additional Teaching Assistant or a Family Support Worker. After an in-depth discussion and much consideration, the decision was taken to appoint a FSW on a full-time basis. They have monitored this initiative closely and now realise the major impact this role is having not just on families and children, but in the classroom and with standards. They are clearly linked to subject and school priority areas, appreciate getting into school, and have the knowledge to make informed decisions, and clearly make a vital link in supporting inclusive practices throughout the school. The Self Evaluation Report received was of high quality, and reflects the school’s evaluative and thorough processes in meeting the needs of the children and parents through its inclusive practice. It is an immensely caring environment, one which is highly valued by children and parents alike, and one which has a huge impact on attainment and progress.